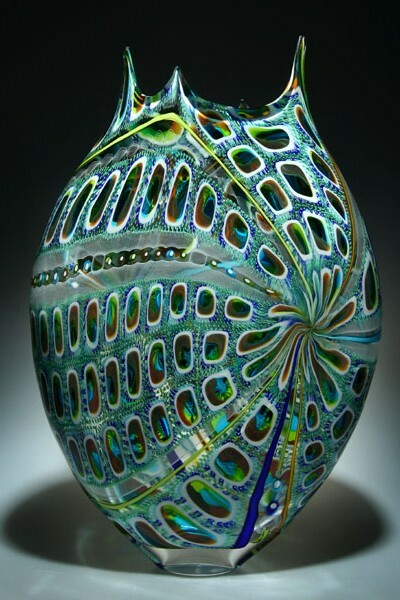 I find glass as seductive as it is challenging. 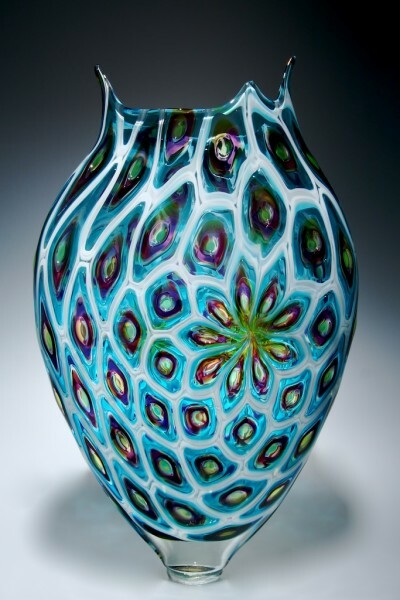 As a particularly unforgiving medium, an artist has endless creative opportunities to design for its unique properties–the only limitations are their imagination and skill in working with the material. 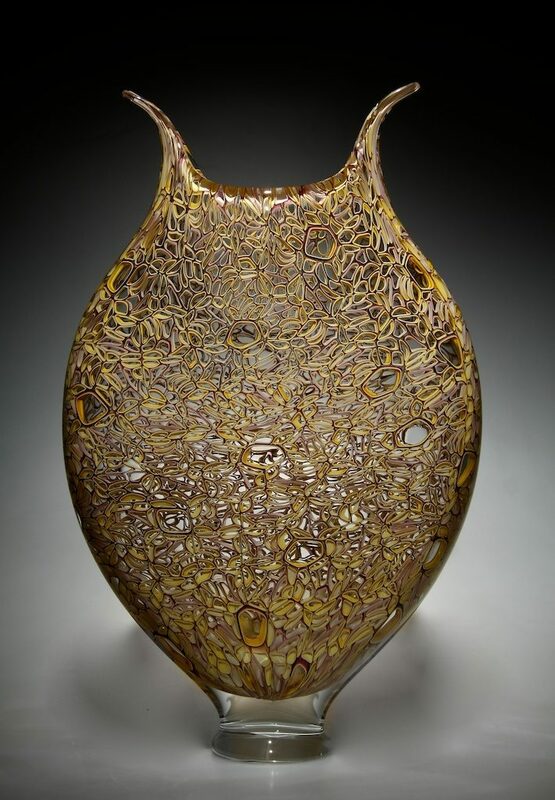 I’ve always been captivated by how one can use this enigmatic material to achieve virtually any form, hold elements in suspension, and achieve great detail or soft abstraction. 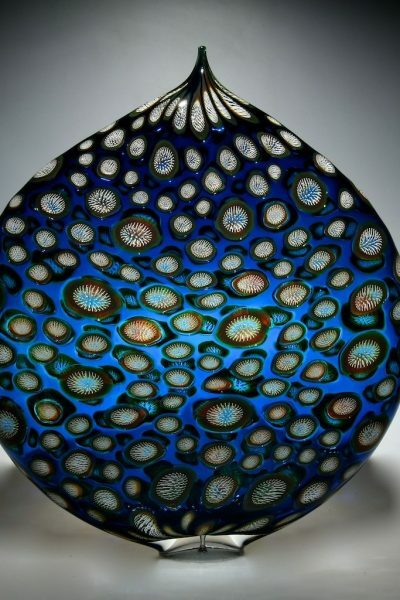 Its flexibility as a medium is matched by the difficulty it presents in using it to execute precise work. 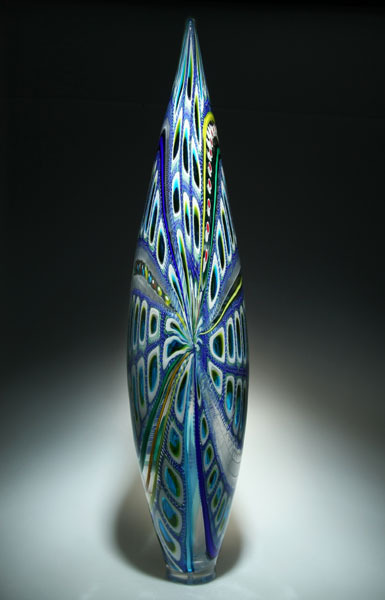 My current work is an intensive exploration of patterns, colors and transparency created through multi-layered cane and murrine (colored rods and patterned cross-sections of glass). 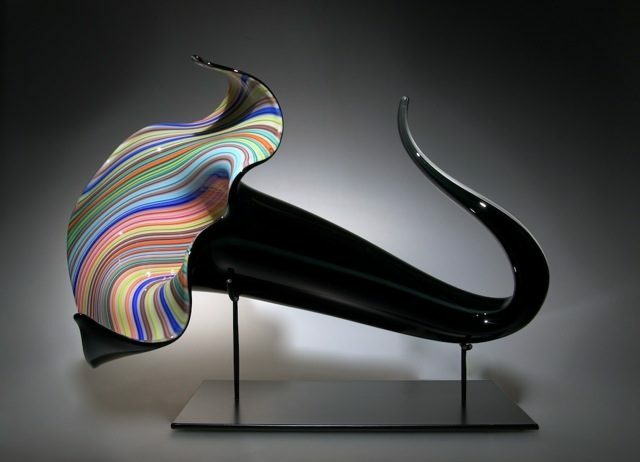 While varied in composition and design, I most often create work within a series of graceful forms that I consider three dimensional canvases. 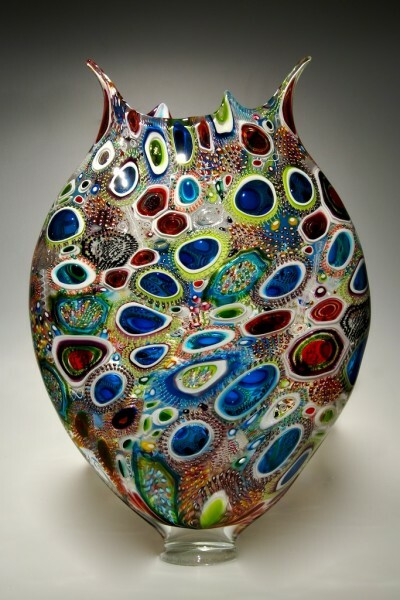 The diversity in my compositions reflects my desire to constantly experiment and explore a variety of ideas simultaneously. 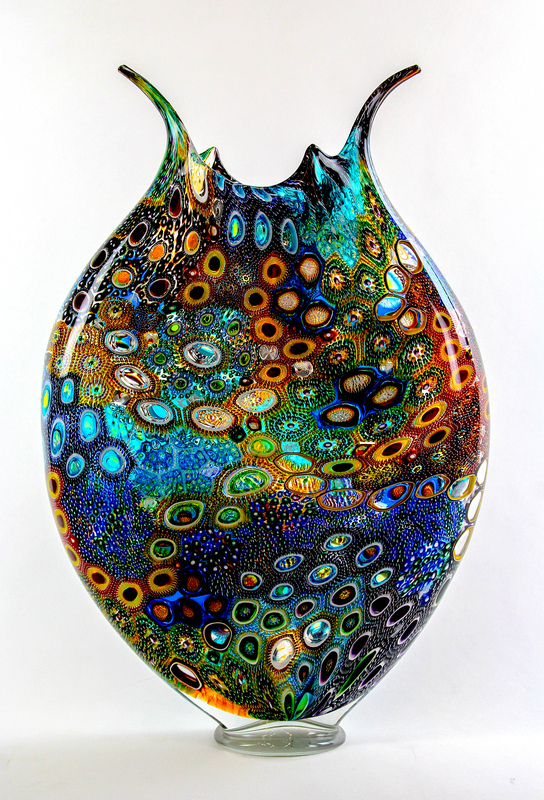 Some themes in my work include windows into or through a piece, things hidden & revealed and extreme detail. 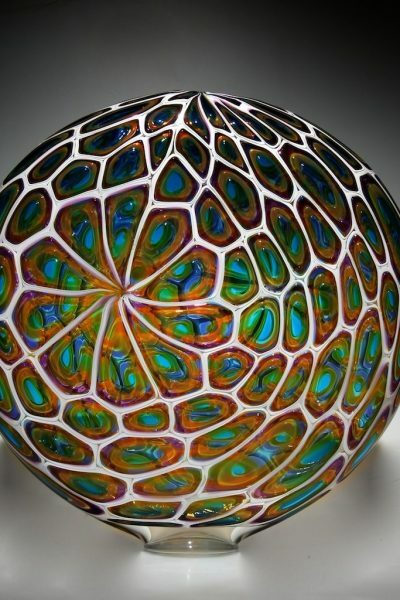 Colors in contrasting and/or complimentary tertiary tones woven into complex patterns challenge expectations of the amount of detail glass can carry and its place in the art world. 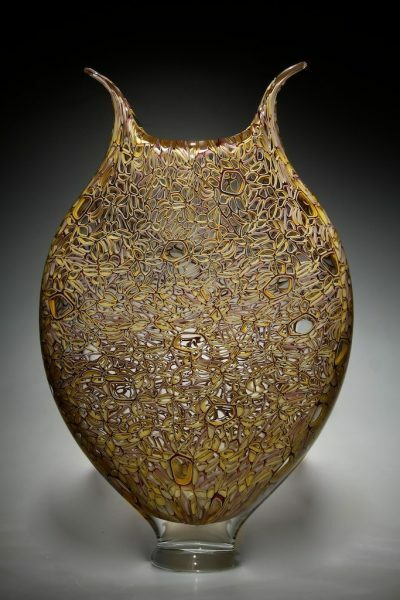 My influences include textiles, ethnically distinct colors and shapes as well as the marine environment. 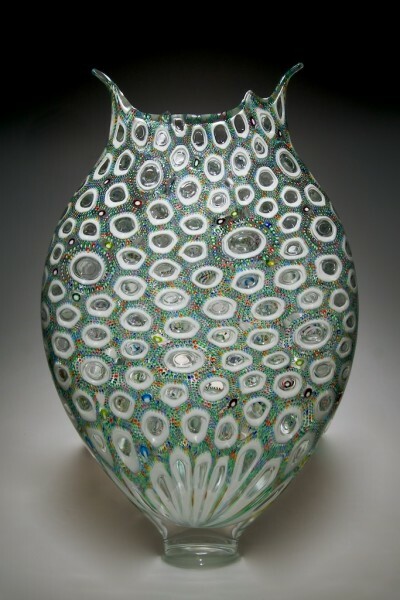 David is glass artist who works as a chairman for glass arts communities. 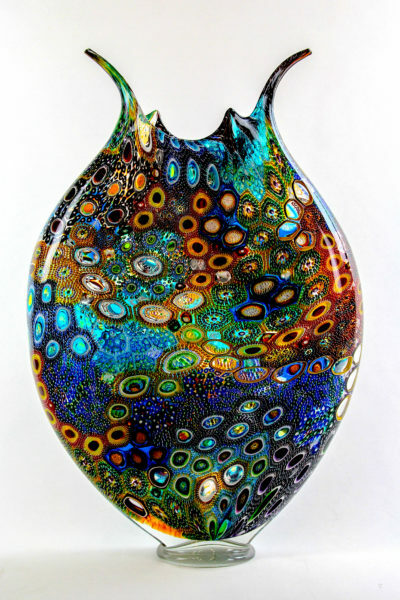 For two decades David’s creative energies primarily found an outlet in music, but a blowpipe and a glass furnace has firmly replaced his guitar. 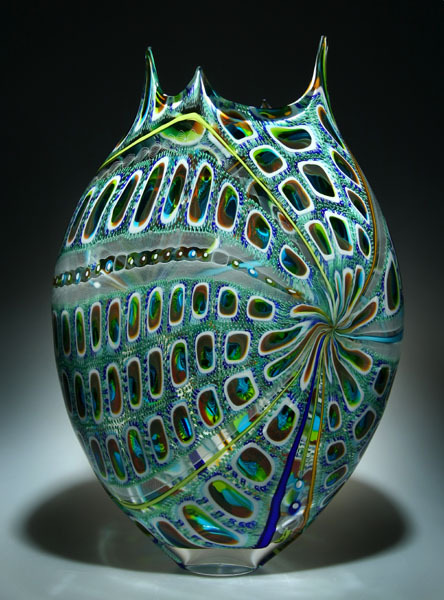 David has studied at the prestigious Pilchuck Glass School, founded by Dale Chihuly and John and Anne Hauberg in Stanwood, Washington. 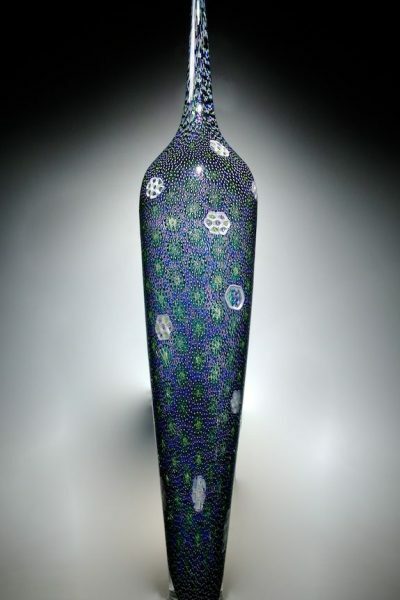 In 2010, David was invited to Seto City, Japan as Artist in Residence, spending a month lecturing, demonstrating and making work through an award from the Seto City Art and Cultural Foundation. 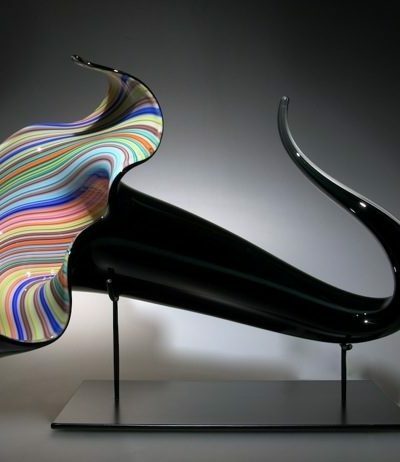 Early in his career, he learned through a wide range of talented local artists combined with a great deal of experimentation and visits with Afro Celotto, maestro and former assistant to Lino Tagliapietra in Murano, Italy. 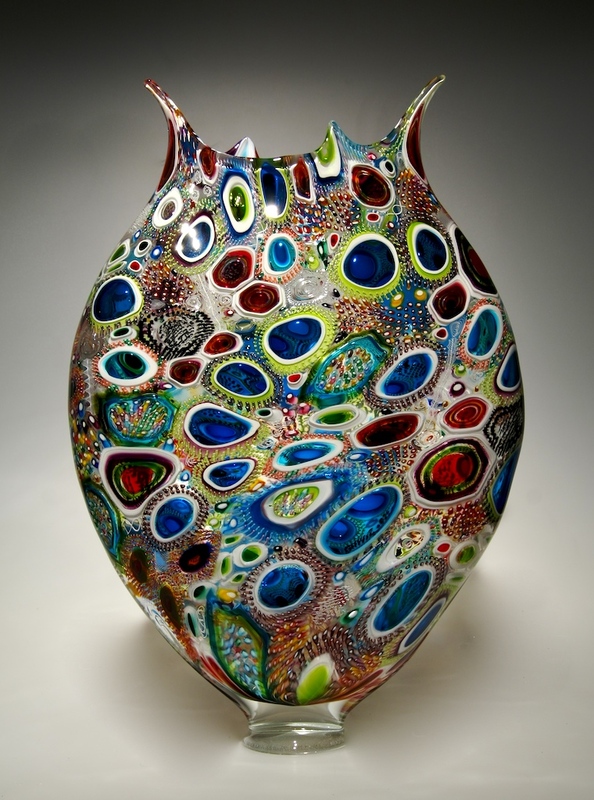 David has received awards for his work including an artistic merit scholarship for his studies at Pilchuck. 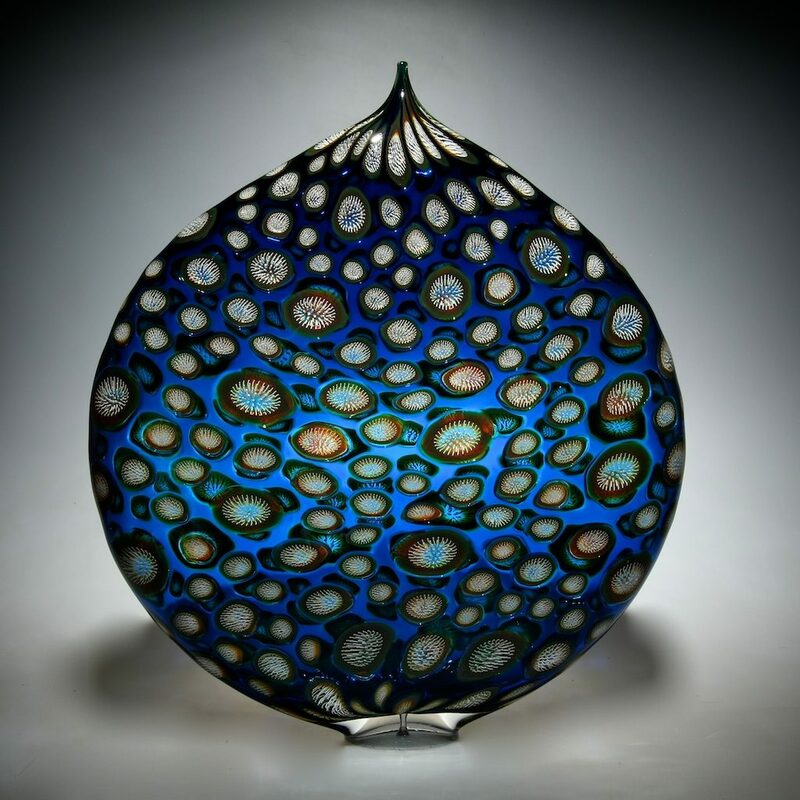 David is actively involved in the glass arts community as Chairman Emeritus of the Board of Directors at Public Glass (San Francisco’s center for glass art) and former member of the Board of Directors, Glass Alliance of Northern California. 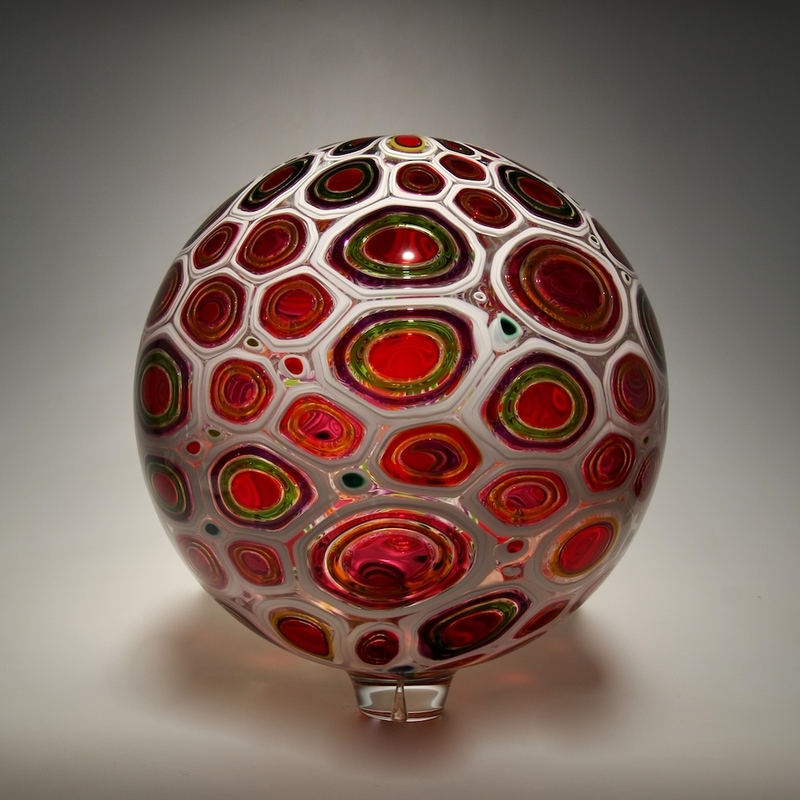 David maintains a private studio within Public Glass where he creates his work and occasionally instructs. 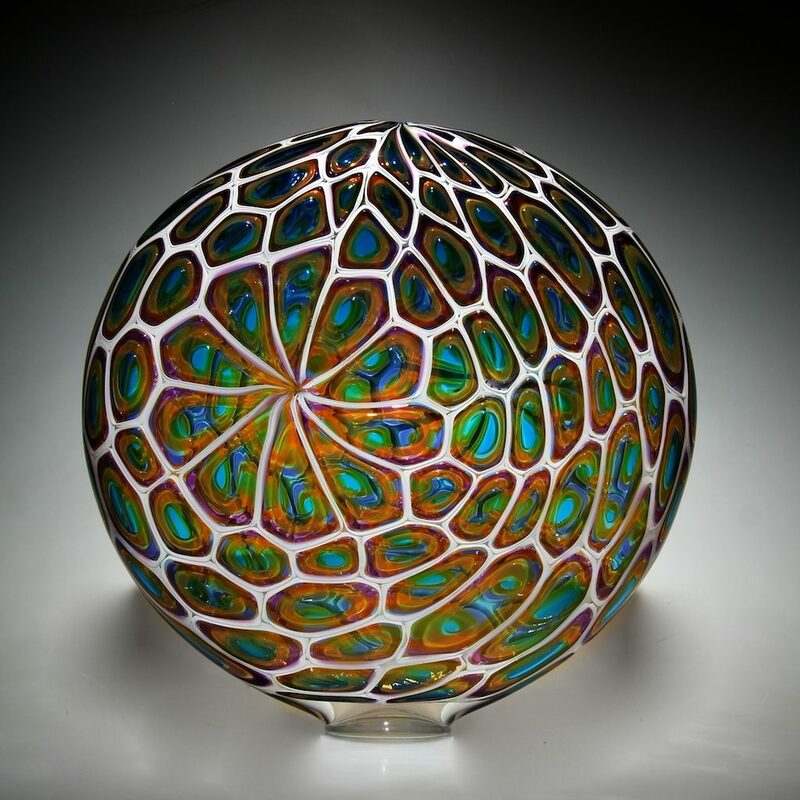 He enjoys and finds inspiration in international travel, SCUBA diving, photography, architecture, science and nature. 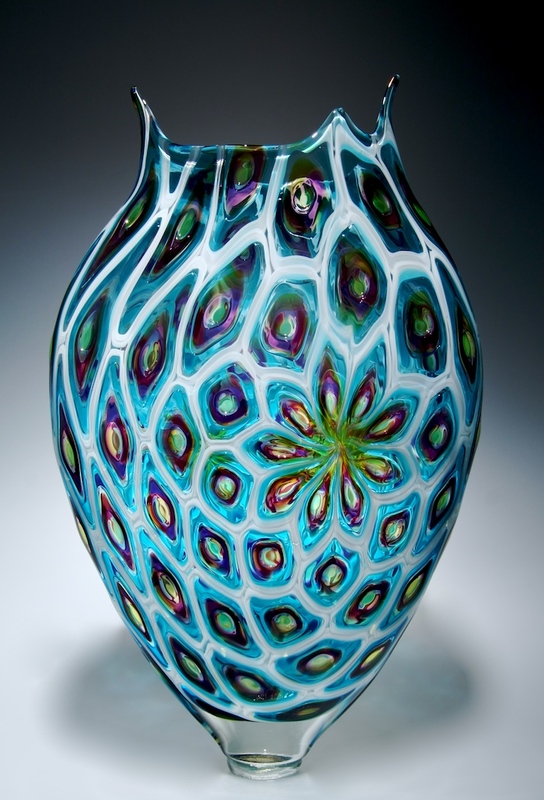 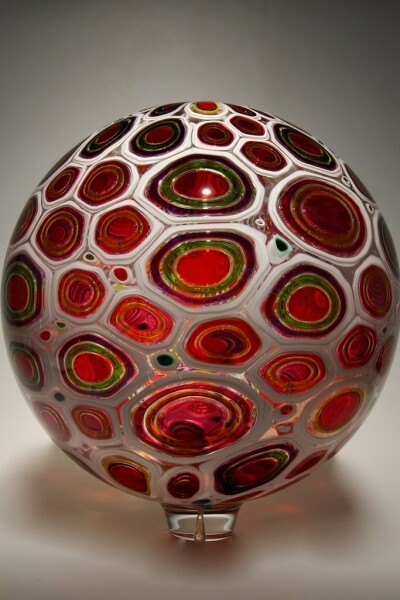 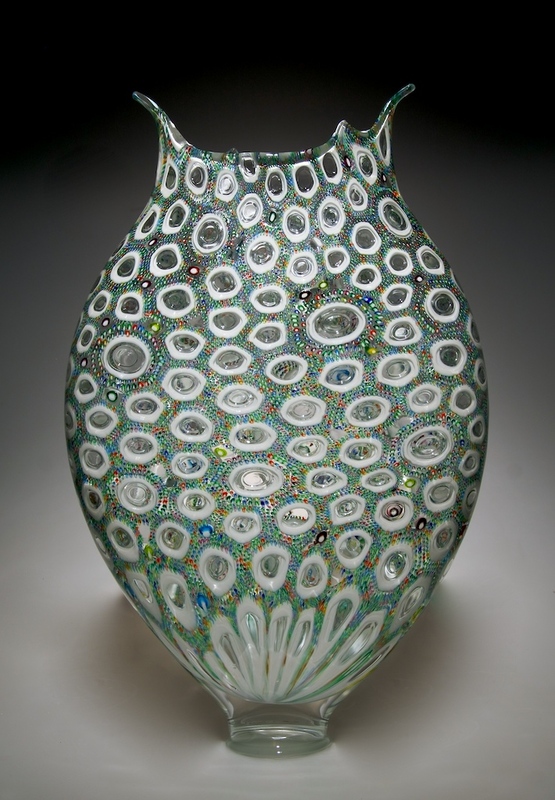 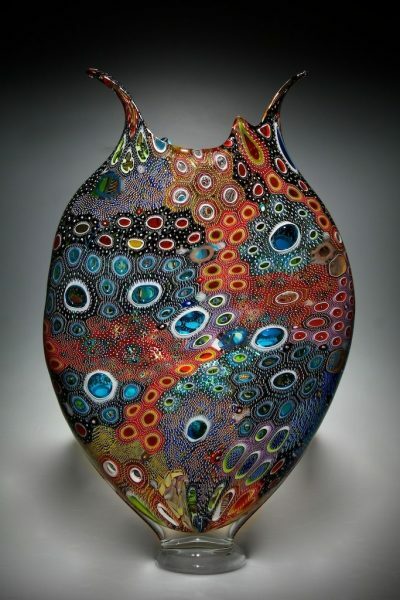 Born and raised in New York, David Patchen now resides in San Francisco. 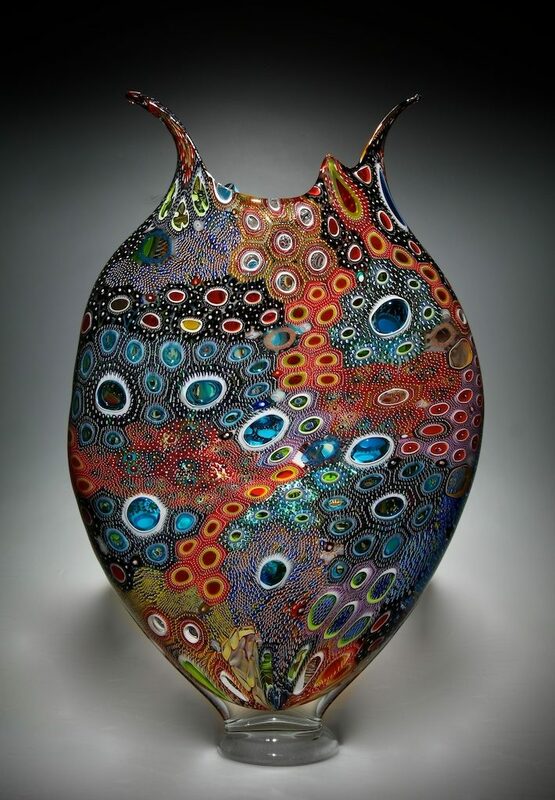 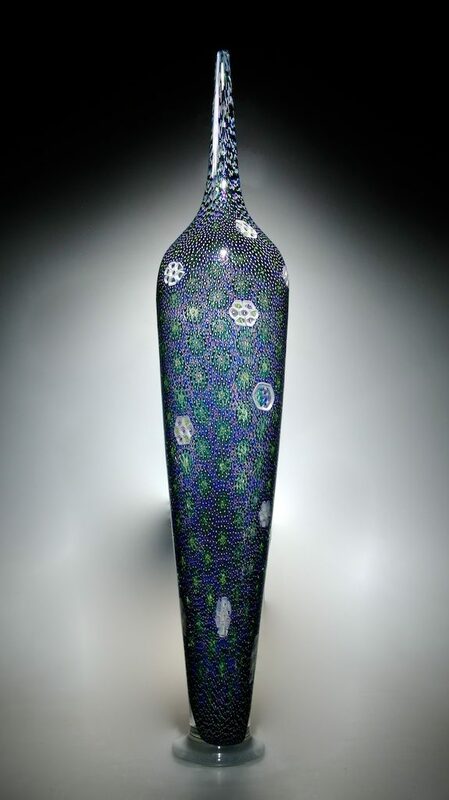 David’s work is known for its intense colors, intricate detail and meticulous craftsmanship, is in numerous private collections and exhibited in select galleries in the U.S., Canada and Europe.